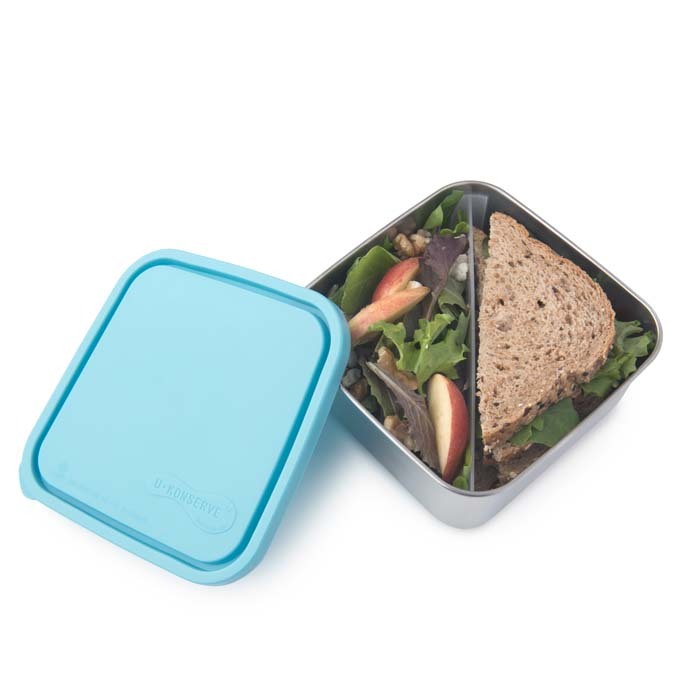 A generously sized, food-grade stainless steel container. 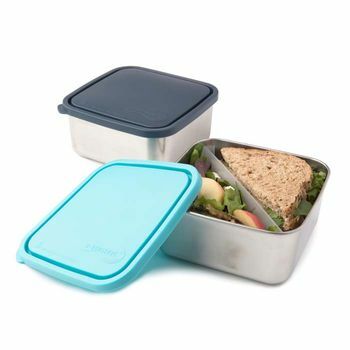 Comes with a leak proof lid and diagonal, removable divider making it perfect a waste-free lunch and storing leftovers in the fridge. Taking lunch into work is definitely something that more and more people are starting to do. It is a great way of saving money, reducing packaging waste and also using up leftovers. 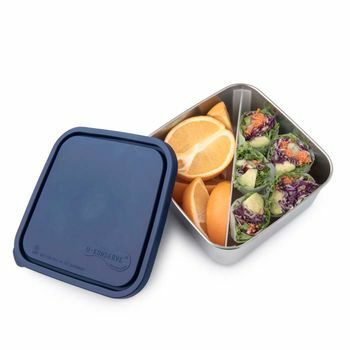 This generously sized, square stainless steel container is made from #304 (18/8) food-grade stainless steel and comes with a leak proof #4 LDPE lid (LDPE is low density polyethylene which is widely recyclable). It also has a diagonal, removable plastic divider making it perfect for taking sandwiches, wraps, sushi and salad into work or for storing leftovers in the fridge. The removable divider is PP #5 plastic. 16cm x 16cm x 7cm deep. 50oz. Dishwasher safe, top rack recommended. Although the lid is dishwasher safe, research has shown that for long term durability it is best to keep plastics out of high temperature environments like microwaves and dishwashers.